A day long retreat of all three offerings combined (Inner Intimacy Hands-on Coaching, Embodied Magic Meditation and Alaya Yoga) with an organic meal, detailed homework and a 1-hour-follow-up coaching call. This session combines life coaching with hands-on embodiment work. It may look like a portion of hands-on work followed by an in-depth conversation. It can also look like going into deep relaxation and using touch, meditation, inquiry and conversation simultaneously throughout the entire session. This is particularly good for people who find their minds and egos need a bit more relaxation to access deeper questions and answers than what talk therapy typically provides. Imagine being guided into deep relaxation. First, we focus on having you arrive fully in your body in the present moment. Next, we establish curiosity about your partner, opening slowly to their breath and sound. Then, with guided meditation, I will lead you on a journey to explore the inner landscape of your being. Using breath, sound, visualization, inquiry and touch, you will experience new levels of inner intimacy. This is an important foundational meditation practice focused on deep relaxation of the nervous system. 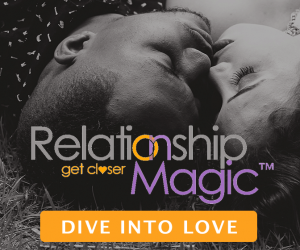 This creates magic–the magic you need to evolve into your most authentic and empowered self. Alaya yoga is the process of purposely emptying and filling the body with energy. Dissolving energy blockages, social conditioning, emotional and psychological pain, and uncertainty to reach the place of indissolvable stillness, peace and acceptance in yourself. It is a method of embodied surrender, where we play with the paradox of being and doing. It involves a combination of gentle yoga poses, guided meditation, subtle touch, sound healing, energy work, and deep inquiry.